It's been a great year for camping from early Spring right through summer, at least so far! The 'meeja' love covering stories about camping. Many outlets cannot resist taking the mickey whilst others fail to move beyond the failure to understand what it's all about - 'he was believed to be living rough in a tent' being typical. A recent trend has been the 'Golly, gosh, what jolly japes we had in our 'yurt/tipi/ger' approach. They are usually accompanied with advice on packing Ugg boots, antique wine coolers and creating a 'cosy ambience' inside the tent. No sign yet of advice to pitch along ley lines but it will come, no doubt. Unlike what happened with cycling a few years ago, 'new campers', appear to have embraced the outdoors as a fashion statement. In lifestyle magazines, they appear to live in a parallel universe to mine. The people I meet on campsites are not ordinary folk; they are full of tall tales of adventures, trips and tours. Happily, I've yet to meet anybody trailing around communing with nature in rainbow robes and designer wellies. The surge of interest in festivals must account much of the focus on style rather than substance. Ere long, Glastonbury will no longer feature bands and artistes and nobody will notice. So, why does the 'meeja' focus on eccentrics and loveys? My view is that most presenters and reporters believe that unless a story is trivial or bizarre, it's not worth covering. It must have gutted them that hundreds of thousands of people enjoy camping weekends and holidays, living outdoors and walking, cycling or sightseeing as suits. Of course, by 'camping', I mean using a tent. There are legions of stories every year about people camping in a caravan, motor home or barn. It's not camping! Similarly, the term 'backpacking' has been hijacked by the gap year industry. 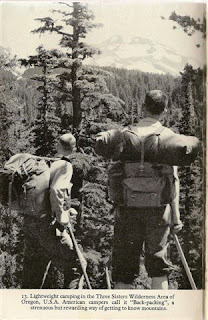 Before backpacking became a commonplace name for lightweight camping with everything carried in a rucksack, UK-based writers referred to hike-camping, tramp camping or, indeed, just plain camping. For around 20 years from 1970, backpacking meant walking and camping with all your gear and food carried in a rucksack. Self-contained, backpackers could stroll hills, valleys and foreign lands, honing skills whilst taking in the scenery and solitude. The hordes of gap year youngsters travelling the world are not camping so, to me, they are not backpacking. Just because marketing people have started describing rucksacks as backpacks and budget travellers as backpackers doesn't mean it's right. Of course, 'backpacker' is a more acceptable way to refer to young irresponsible people honing their scrounging skills by preying on less fortunate people in the Third World before adopting the self-absorbed lifestyle of a student. Parents would be far from happy if the gap year idlers were referred to as locusts or parasites. On my bookshelves is a copy of "The Camper's & Tramper's Week-End Book" by Showell Styles, first published way back in 1956. One of the snippets of advice runs, "It is usually inadvisable to buy a second-hand tent unless you know the previous owner and his habits well." Good job I ignored the advice last year with a bid on ebay for three tents. My winning 99p offer was a reflection of the state they were in when unpacked. Filthy and torn, they looked a mess as they tumbled out of the unwieldy package. It took a little while to sort them out and identify them. All three were more or less complete but with quite a variety of rips, scrapes and general damage. A good project, in other words, for odd hours. Or so I first thought. The temptation was too great and no time was lost getting to grips with the reconstruction. Identification of the Halfords Challenger 2 was easy. As a single skin "festival" tent, it made a great play tent for friends' children when a couple of rips were repaired. The Eurohike flysheet and inner were so badly damaged that the various elements of the tent were taken apart for spares, patches and because "they might be useful"; they joined all the other potentially useful stuff in the depths of the garage. The third proved to be a Gelert Summit in fair condition overall. A holey groundsheet, faded flysheet and zips jammed solid with dried mud were the only obvious problems on a well-hammered tent. 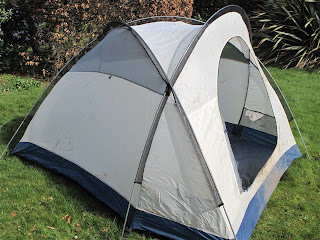 The first two are common problems with all modern tents, in my experience. It's more than irritating to have a useless groundsheet in an otherwise perfectly sound tent. Unless, of course, you stop thinking of the sewn-in fabric as a groundsheet as regard it merely as a means of keeping out draughts and insects. Then, "optional" tent footprints become an essential part of a purchase and need to be built into budgets. Then, concerns about porous groundsheets, snagged, torn and leaking, become irrelevant. A friend took one look at the mud-covered mound of fabric and noted that only an idiot would do anything other than bin the lot. As a fully paid up member of Buffoons R Us, I bent to the task. Shaking fly and inner vigorously disposed of plenty of mud dust. Both went separately, along with stuff sack, pole and peg bags, into the washing machine with that miracle worker Nikwax Tech Wash. They came up well with zips running freely and fabric clean again. On a sunny afternoon, both were dry within the hour. A few stitches on the inner tent dealt with small tears. The groundsheet was full of tiny holes as well as scrapes and tears but recycling the heavier weight groundsheet from the Eurohike tent should deal with that problem. A little glue and duct tape sorted the two split fibreglass poles and pegs were soon straightened, replaced and added to for a full set. Guylines were unravelled, old knots untied and new Line-Lok sliders fitted. It certainly looks like its seen hard times but is still waterproof and will see good service through the summer and beyond. On delivery, it was a testament to how not to look after a tent but it only took a couple of hours to restore it. Vaude’s Astra Light is a modern-styled travel and trekking pack designed to take the burden out of backpacking with quick and easy access to the main compartment, meaning you needn’t spend hours working out in which order to pack your gear. 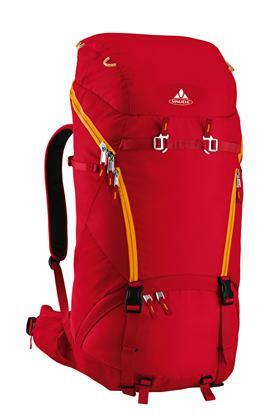 Lightweight, durable and versatile, the Astra Light is a practical backpack for outdoor adventure - www.vaude.co.uk. At this year´s OutDoor trade fair the German umbrella specialist Eberhard Goebel (www.euroschirm.com) launched the first truly functional 'handsfree' backpack umbrella. The umbrella is easily fastened to any standard backpack with hip belt so both hands remain completely free which is ideal for walkers who don´t want to go without trekking poles in the rain, photographers and loads of other users. A simple harness for use without a rucksack is available. The highlight of this special umbrella is its telescopic fiberglass shaft which is variably extendable up to one metre in length and can be fixed at any height by a small twisting movement. By means of two accompanying turnable clips to be fastened at the front withVelcro strips to the two carrying belts of the backpack the umbrella can be positioned to the right or the left according to the direction of the wind and the rain. 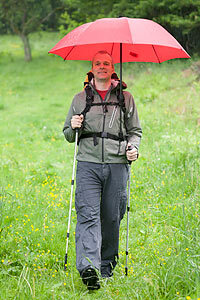 The elastic carrying loop at the umbrella handle serves as flexible fastening to the hip belt. A particularly lightweight and highly tear-resistant polyester fabric with Teflon® coating is used for the canopy. The entire umbrella frame consists of elastic and robust fibreglass material; the frame is nearly completely metal-free and so corrosion-proof. This retro style boot is made with premium water resistant full grain leather with a classic metal speed lacing system and features an enhanced KEEN.DRY ™ membrane for all weather moisture management. Designed to let vapour out without letting water in so keeping feet cool, dry and comfortable. 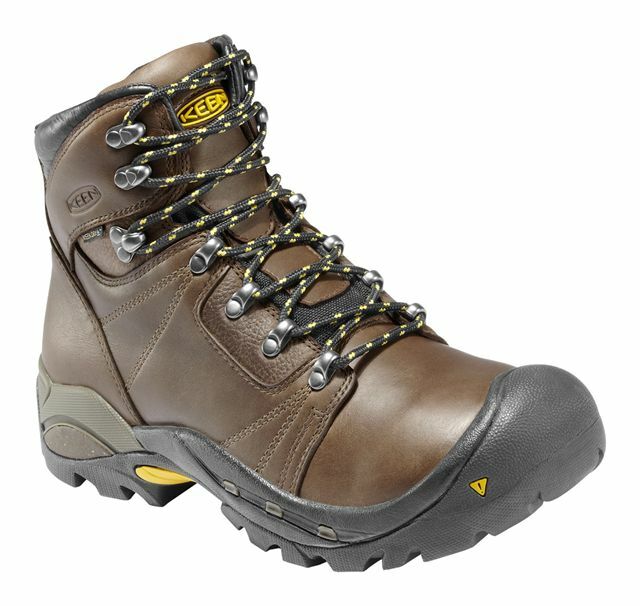 For stockists, call 01572 772500 or visit www.keenfootwear.com. 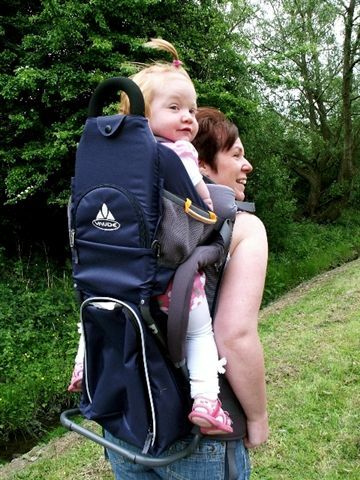 Child back carriers are enjoying a surge in popularity, as parents enjoy the freedom and convenience of taking their youngster about the town or country without the limitations of a pushchair to contend with. With so much choice and variety in the marketplace, choosing the right type of carrier can be a challenge. Now Little Terra has produced a free downloadable guide to help parents make an informed choice when selecting a children’s back carrier. 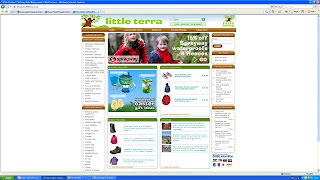 Available online at www.littleterra.co.uk/choosingchildcarriers the guide is packed with information including fitting, frame construction, weight considerations and accessories.